Members please log in by clicking the icon below prior to registering. Please choose your workshop(s) on the following page to complete your registration. Workshops will be offered on Saturday and Sunday, February 16th and 17th. Amount consistent throughout registration period. All individuals involved in educator preparation who have retired from full time active professional employment may elect a Retired Membership by paying the stipulated dues. They must have held Regular Membership for at least ten years or five consecutive years immediately preceding retirement. They shall be entitled to all privileges of the Association. The Distinguished Member of the Association of Teacher Educators exemplifies the best of teacher education in this nation, which includes outstanding contributions to the Association; outstanding contributions to teacher education; and professional, academic, and ethical standards. Amount by January 15th, 2019. All individuals involved in educator preparation may become Members by paying the stipulated dues according to the established schedule by choosing this packaged registration option or by first visiting https://ate1.org/join-today, and shall then be entitled to all privileges of the Association. Amount by January 15th, 2019. All individuals involved in educator preparation may become Regular Members by paying the stipulated dues according to the established schedule, and shall be entitled to all privileges of the Association. Amount by January 15th, 2019. All individuals enrolled as full-time students in undergraduate or graduate teacher education programs may become Student Members of the Association by paying the stipulated dues providing that, in every case, payment is accompanied by the appropriate form signed by a sponsoring Regular, Life, or Distinguished Member. Student Members shall be entitled to all the privileges of the Association except to participate in the nomination and the election of officers and members of the Board of Directors. Amount after January 15th, 2019. All individuals involved in educator preparation may become Members by paying the stipulated dues according to the established schedule by choosing the package registration option or by first visiting https://ate1.org/join-today, and shall then be entitled to all privileges of the Association. Amount after January 15th, 2019. All individuals involved in educator preparation may become Regular Members by paying the stipulated dues according to the established schedule, and shall be entitled to all privileges of the Association. Amount after January 15th, 2019. All individuals enrolled as full-time students in undergraduate or graduate teacher education programs may become Student Members of the Association by paying the stipulated dues providing that, in every case, payment is accompanied by the appropriate form signed by a sponsoring Regular, Life, or Distinguished Member. Student Members shall be entitled to all the privileges of the Association except to participate in the nomination and the election of officers and members of the Board of Directors. These highly interactive and hands-on sessions provide a rich collection of STEM activities and resources that inspire learners to excel and propel them toward future STEM pursuits. In-service teachers will experience activities that they can immediately use in their classrooms and teacher educators will gain materials they can use in helping their teachers candidates assemble resources for their student teaching and subsequent teaching careers. Many free resources from NASA and other developers will be shared during these exciting two days. The 2019 99th Annual Meeting of the Association of Teacher Educators will be held in Atlanta Georgia, at the Sheraton Atlanta February 16th -20th, 2019. The theme selected by President Patricia Tate is, Educators at the Forefront: New Dimensions for Clinical Preparation and Development of Educators. Individuals attending ATE Meetings must register for the Annual Meeting. Registration Information: Registration fee includes the Awards Dinner on Tuesday night. Business professional attire. Click here to go to the page on ATE's website with information on workshops. If you'd like to register for workshops only, please choose the first option on the following registration page. If You Must Cancel: A $50 service charge will be deducted for all refunds prior to January 15, 2019. No refunds after that date. 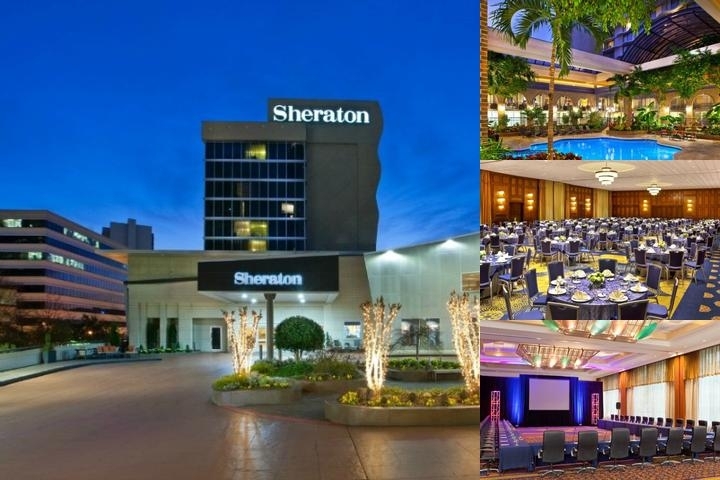 Lodging: Click here to visit the online hotel reservation site for Sheraton Atlanta 165 Courtland St. NE, Atlanta, GA 30303. For guests who prefer to phone in their reservations, they may call the Sheraton Reservation Center at (404) 659-6500 to secure a reservation on ATE's group block. Currently, the name of the group is listed as ATE 2019 Annual Meeting.